Falconers and falconry techniques have been at the forefront of raptor conservation for centuries. Indeed most of the falconers in New Zealand today are involved in raptor conservation. 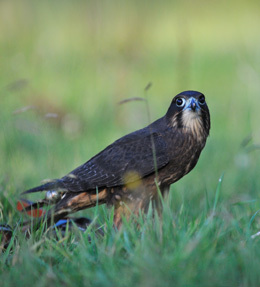 Understanding the behaviour and needs of a bird of prey is only part of being a successful falconer; awareness and knowledge of the environment we share with birds of prey is also vital. As such, falconers generally not only have a deep spiritual association with their birds but also with the natural world and many are raptor biologists or ecologists. There are many examples of falconers being at the forefront of action to save threatened species and the habitats they live in. 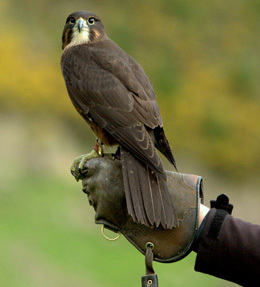 For example, falconers have been some of the most important pioneers of captive breeding and release techniques for conservation purposes helping save many species from the brink of extinction (e.g. Peregrine falcon, Mauritius kestrel, Aplomado falcon, Californian condor and the Bald eagle). 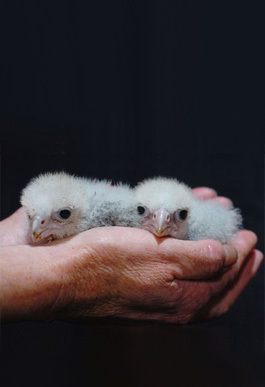 The contribution by falconers to bird of prey conservation continues today with organisations like Wingspan Birds of Prey Trust, an organisation established and run largely by falconers, leading conservation action to save the threatened New Zealand falcon.